Modern CVs – trucks and buses – are becoming much more handsome and inspiring than we would expect them to be. We Indians know trucks only with custom-made cabins and cargo bays that are similar since decades and hardly appealing. But things have started to change now. A wide range of brands are now available in the CV market augmenting customer choices and market standards. New design languages and external manifestations have crept into the CV market as well, the very aspect that makes the whole car industry distinct and more dynamic. That way, trucks now adopt designs that are endurable and sustainable, without becoming obsolete in shot period. Lets examine the plot with illustrations from Volvo and Tata trucks. Firstly, the process of developing a new truck starts years before it is launched, may it be any manufacturer. Designers have to make them look refreshing and innovative. Their design not only have to be timely on its arrival, but must also have some endurance to withstand all those changes for some years post launch. Take for instance the entire fleet of Volvo trucks. The company launched six new-generation models last year for global markets. Three of them – FH, FM, and FMX – are available in India as well. Their design attributes are futuristic, intelligent and elegant. 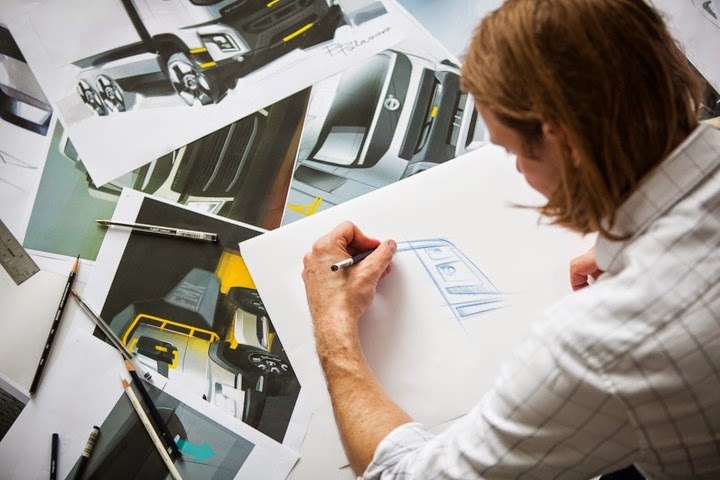 All those trucks share some common traits, but Volvo designers have also worked to express differences between each models, just like how family styling for most of present-day car brands mutually co-exist with product differentiation. Indian truck makers are also becoming responsive to such design aspects, keeping in mind long-term changes and requirements. The era of custom-made cabins are gone; most of the heavy-duty trucks are now tailor-made. Last year, Tata Motors launched their new range Prima trucks to compete in the 40 tonnes segment with famous brands like Scania, Volvo, Iveco and Bharat-Benz. Tata designers seem to have used their previous experiences working with their Novus trucks, a product that came out company’s acquisition of Daewoo Commercial Vehicles. The Prima looks more modern than Tata’s earlier truck designs featuring cab over engine configuration. Tata’s engineers have tried to make it as aerodynamic as possible, despite its inevitable vertical fascia, and have added roof and side air deflectors to keep the drag coefficient at bay. 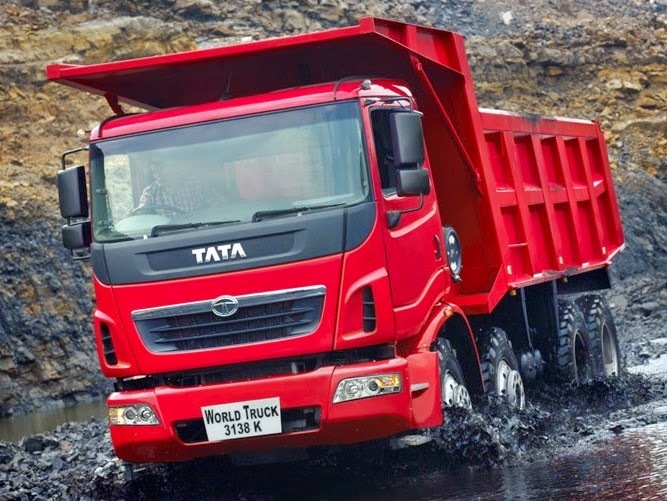 The massive black grille with the brand logo on the top of it, cabin’s door profile, wheel arches, bumper with small air intakes and advanced headlights – all clues that Tata wants this truck design to remain exciting for many more years. Prima isn’t the only development. Tata’s new Ultra truck range is an another example. Other local CV manufacturers like Ashok Leyland, Mahindra, and Eicher, are also catching-up with novel truck designs. They try to carve out a unique family designs or traits for their entire line-up with visible differentiation across product segments. Bharat Benz, an Indian subsidiary of Daimler CVs, is marching a step ahead in this regard. In the initial days of the transportation industry, product cycles of automobiles were longer. Both technological levels and visual semblance of cars, and more so trucks, remained for a long period without frequent upgrades. But that’s not the case any longer, at least to a notable extent. Stiff competition among numerous automakers and new demands have changed the scene, making external face-lifts periodically inevitable to stay alive in the market. However, the product cycles of automobiles are prolonged comparing to most of the consumer goods like electronic gadgets. Thus, any significant developments in truck designing takes into account the future, making designs more endurable and sustainable. Quite interesting… It is generally assumed that there is nothing left for trucks & buses in terms of designs, but evolution is imminent.